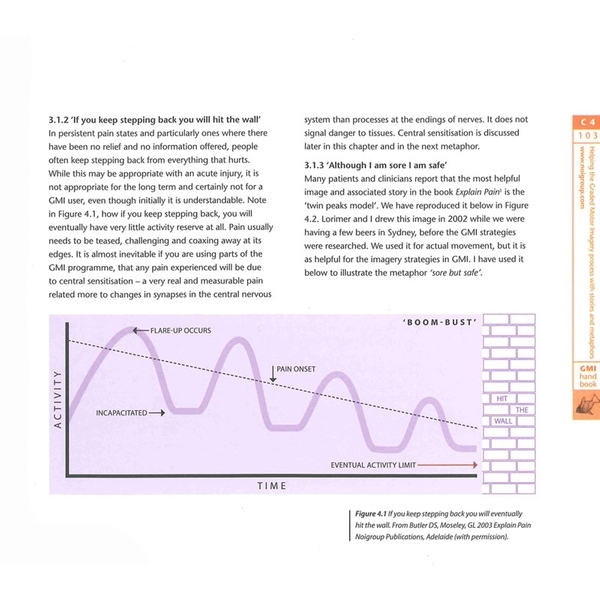 For clinicians and pain sufferers, The Graded Motor Imagery Handbook exercises the synapses of the brain to relieve pain and improve function. Non-returnable. 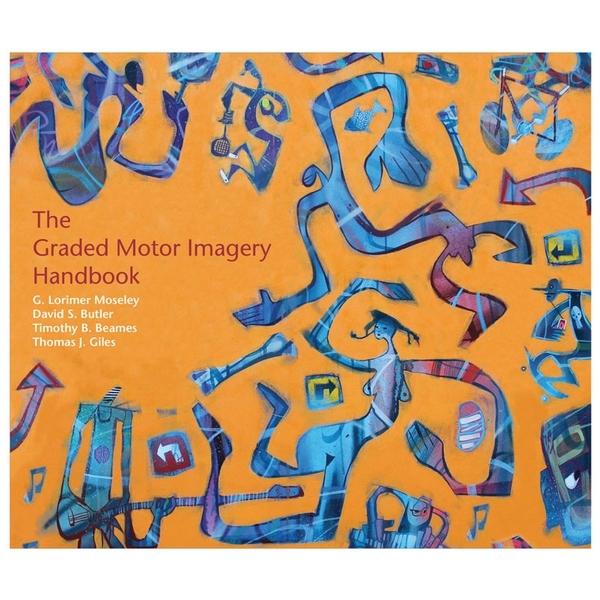 The Graded Motor Imagery (GMI) Handbook details a novel three-stage synaptic exercise process for neuropathic pain that progresses in graded and monitored steps using left/right discrimination, imagined movements and mirror therapy. Exploring the representation of body parts in our brains and how they may be affected by injury, GMI aims to alter pain “neurotags” or sensitive networks in the brain. 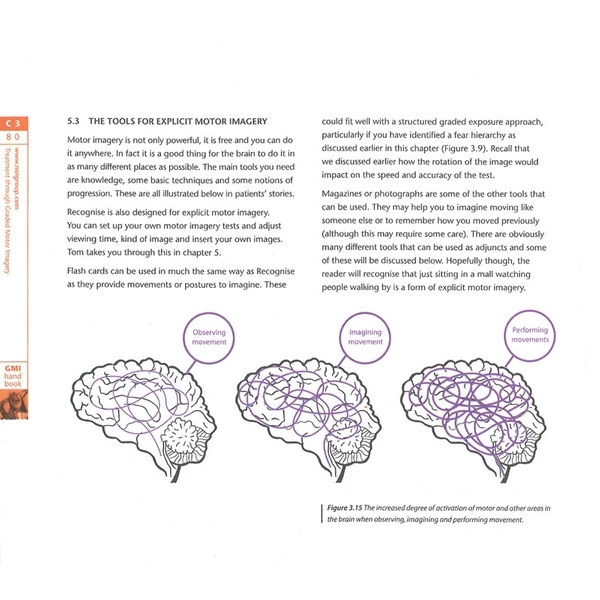 Arising from 15 years of neuroscience, clinical trials and clinical reasoning science, The GMI Handbook explains the process with patient-therapist narratives and a practical tutorial on getting the best of the online program, smart phone app and other GMI tools. Use in conjunction with the NOI Mirrorbox Triangle and NOI Recognise Flash Cards for optimum results. Written by Dr. G. Lorimer Moseley, Dr. David Butler, Timothy B. Beames and Thomas J. Giles. Illustrated. Softcover, 143 pages. Learn more about GMI at www.gradedmotorimagery.com. This is a phenomenal book that provides information on effective strategies for PT&apos;s to treat patients with neuropathic or other types of chronic pain. The neuroscience of how GMI works is fascinating. Excellent resource for patient teaching. Great tool to help guide recovery from chronic pain.